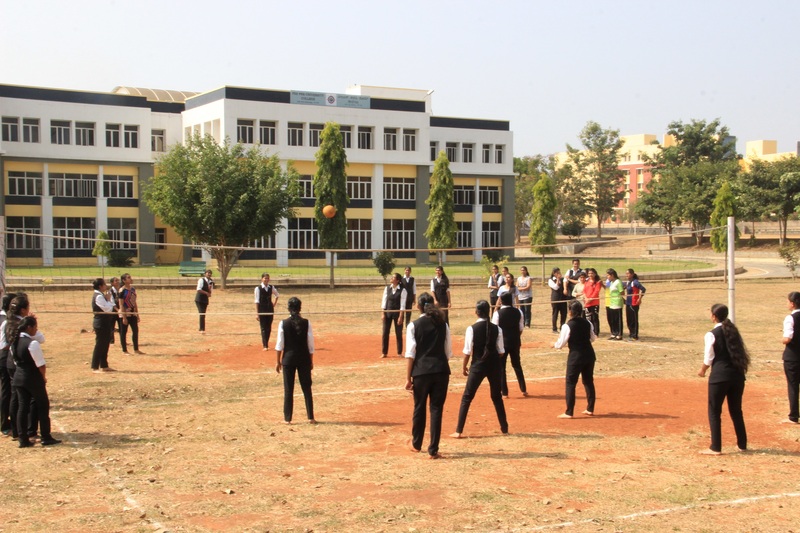 Sports day celebrated on 20.12.2018. 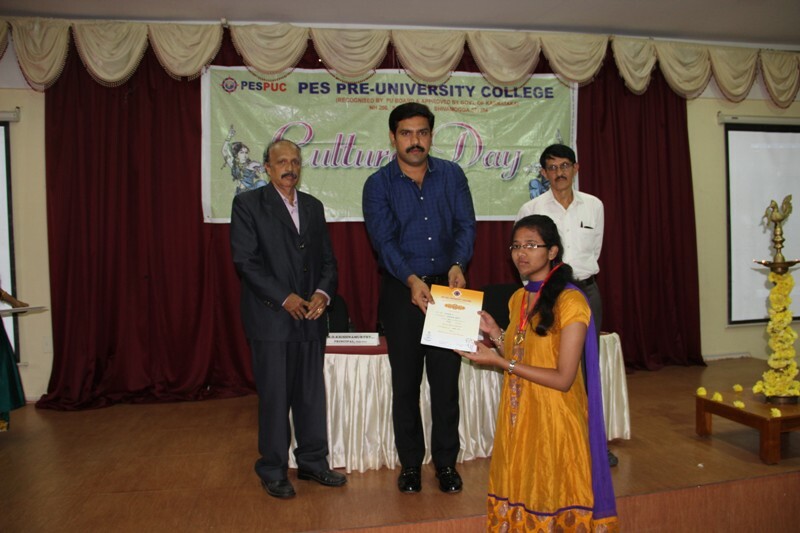 PES PU College has celebrated the Annual day on 30th December 2017. Dr. S.R Ashok, Prof. and Head of Mechanical dept, PESITM and Dr. Nagaraja S. R, Principal PESIAMS were present as chief guests. Dr. S.R. Ashok addressed the students and asked them to be firm minded in achieving their goal. Dr. Nagaraja R. CCA, PES-Trust presided over the function. He asked the students to make best of their college life and strive hard to achieve the goal in life. 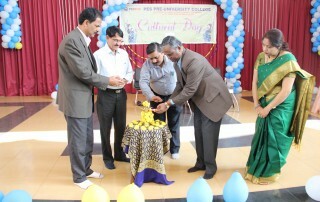 Principal Dr. Shiva Kumar K. was present on the occasion. 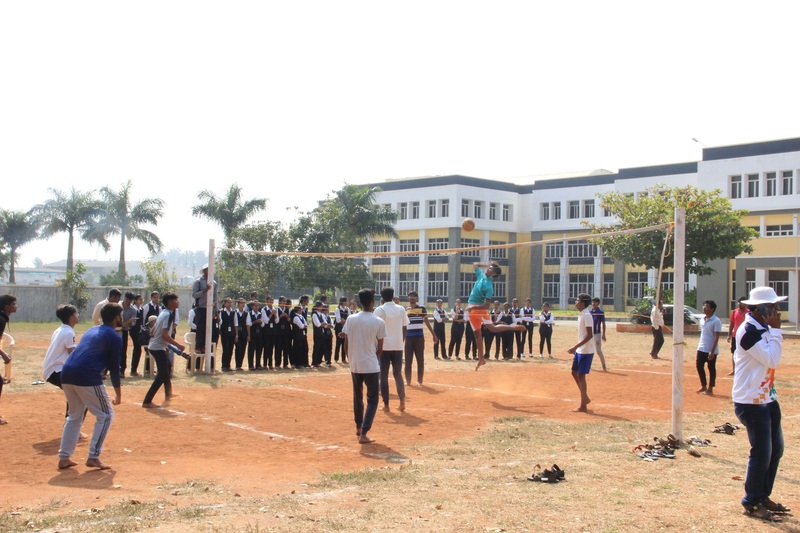 The career of a student must always be balanced with both curricular as well as co-curricular activities. 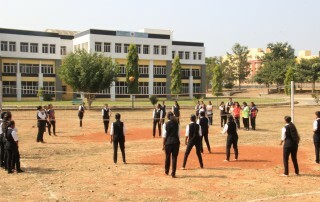 The overall development of a student is possible through management of both curricular and co-curricular activities. The joint secretary of PES TRUST, Shivamogga Smt. S. Y Aruna Devi, stated her point of view addressing the students about the same as a chief guest of PESPU college annual day function on 2nd of Jan 2016. The Head of the Department of the Electronic and Electric, PESITM, Dr. S. F Kodad, motivating the students said that, every student can achieve the success only through the conscious and uninterrupted efforts at attaining their aspiration. The principal PESPUC, Sri. M. H Krishnamurthy declaimed in his presidential speech that, the stage of PUC is of utmost important in every student’s life. The real hard work and polish of their efforts now can bring the best shine to their future life. The College vice-principal Smt. Bhuvaneshwari. G, delineated the college annual report. Five top scoring students from both science and commerce stream of the previous year were felicitated by the management of PES TRUST. Also the winners of the different college sports and cultural activities were awarded. Lecturer in English of PESPUC Mr. Bharath. P. N anchored the whole ceremony.